Video via the Arizona Guardian Ustream. *Below you will find text from the press conference held at the Capitol on Wednesday, March 24, 2010 for the release of the 2009 Legislative Session Education Funding Voting Record, compiled by the Arizona Education Network. We are all parents with the ARIZONA EDUCATION NETWORK -- we are a group founded a year ago by parents from various school districts who were concerned about what was happening to Arizona school funding. We are a non-partisan, independent, non-profit organization with no ties to any outside groups. We have a website where we regularly post analyses of education issues, as well as breaking news. Recently, we decided to take a closer look at the voting records of our legislators on education funding issues during the 2009 legislative session. As you know, because of decisions made during that session, our schools experienced DEEP, DEEP CUTS. And we weren't starting from a very healthy place to begin with -- considering we consistently rank at the bottom nationwide in per-student spending. Our children this school year have experienced the effects of those cuts in the way of much larger class sizes, the loss of teachers at their schools, the elimination of librarians, counselors, art and music teachers, the lack of funding for basics such as books, computers, paper and even toilet paper. What's on the horizon is even more bleak: All of those cuts will be continued, plus the loss of all-day kindergarten and funding for gifted programs are guaranteed. If PROP. 100 doesn't pass on May 18, our schools won't just be on a starvation diet, they will start losing limbs. Many legislators, when they return home to their districts tout themselves as education supporters. No one likes to be seen as being against education. However, clearly these voting records prove that some legislators were willing to stick up for schoolchildren and others were not. We think it's important for voters to see who supports education funding and who voted against public education funding 100 percent of the time in the last legislative session. Forty of our ninety legislators -- almost half -- voted against public education funding 100 percent of the time. When parents start to get mad at their principals, or their superintendents, or their school board members because of what's happening at their children's schools -- we want them to remember who really is to blame for the predicament we face. And we want them to remember that when they go to vote in the August primaries and the November general elections. We also want to remind Arizonans that it's not just our state's schoolchildren who are affected by these votes. These aren't just votes against children -- THEY ARE VOTES AGAINST EVERY SINGLE ARIZONAN. A vote against education funding is a vote against businesses. A vote against education funding is a vote against our military bases. A vote against education funding is a vote against higher property values. Everyone knows that businesses are attracted and remain in states with strong education systems because they are guaranteed an educated workforce and good schools for their employees' children. Everyone knows that our military bases have told the legislature that they will be at risk of closure during the next round of base closures if Arizona's education rankings don't rise. Everyone knows that areas with strong schools have higher property values. And everyone knows that if you don't educate, you incarcerate instead. This particular legislature has been a disaster for our schoolchildren. It's pretty clear that the wheels are coming off the bus. What we want everyone to know is who unscrewed the lug nuts. I am a full time student at The University of Arizona; my major is on Public Administration and Pre-Law. I work part time and live with two disabled parent who only receive S.S.I. In particular, I have gone long ways to be where I am now, giving my respects for those legislators whole fully support the education system in funding constructive policies. I am a living witness who can make a statement that our educational system is in desperate need for funds, In sum of all High School Graduate students in 2007(south side of Tucson), only 15% of that graduating class enrolled in a University, and out of those 15% only 5% are preset in a University. Many students in my graduating class claim to say “it got too expensive”, we can’t allow financials be the barrier towards higher education. 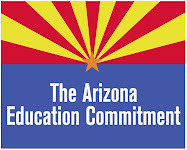 So I am taking this time to specifically thank all the legislators who fully (100%) support all educational funding policies, considering the fact that I am only including the actual votes casted (provided by Arizona Education Network website). For those legislators who fully oppose any educational funding, I am interested to know if you were once a student enrolled in a Public School (K-12 perhaps College)? Growing up as a child I was always told “when you get a hand, you give a hand back”. ATTENTION Anti-Educational Legislators I am calling you out, where is your role in partaking to support of public schools. Education is the future for America, funding schools is an investment so LEGISLATORS we have to make sure long term constructive choices are being enforced, lets valence as a group and resolve these issues to strengthen our Education system, so please support Prop 100!